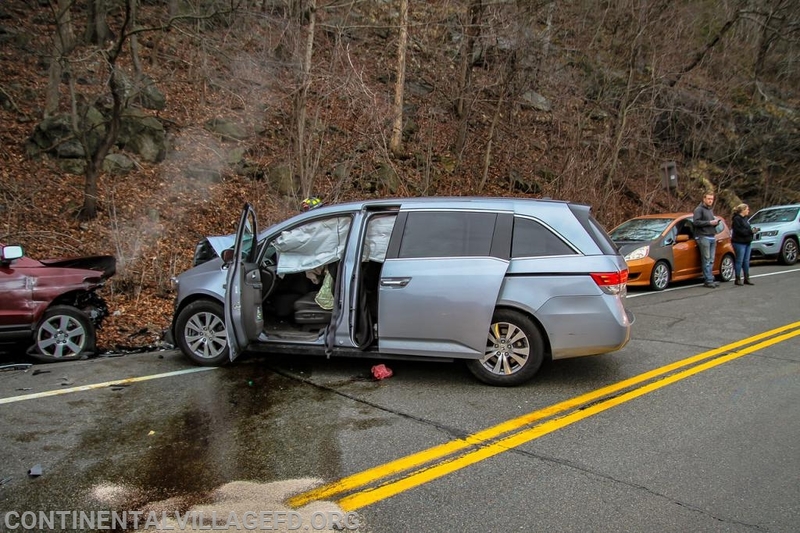 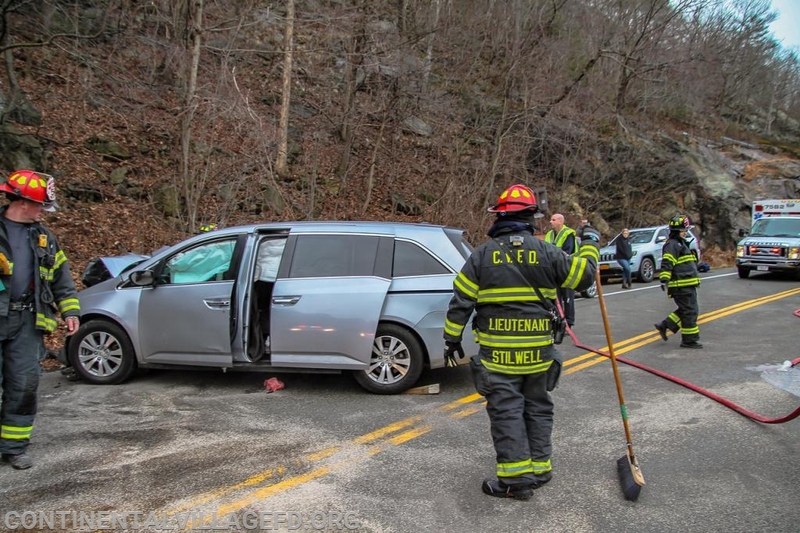 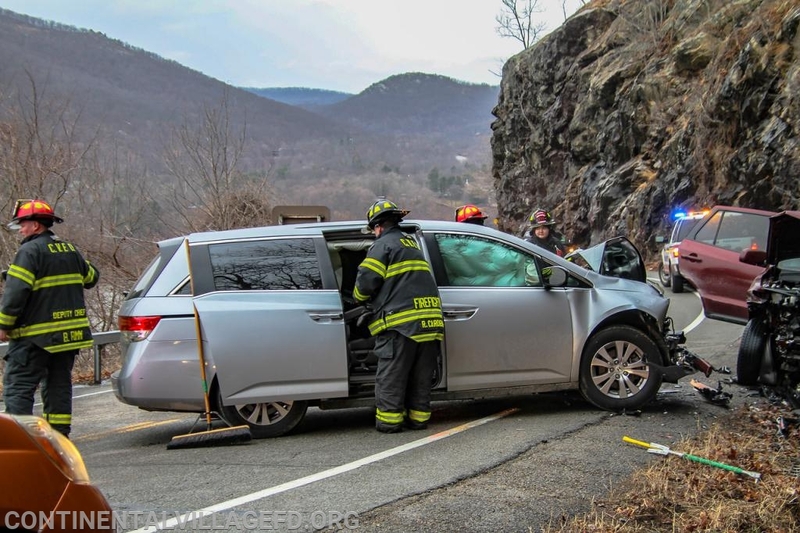 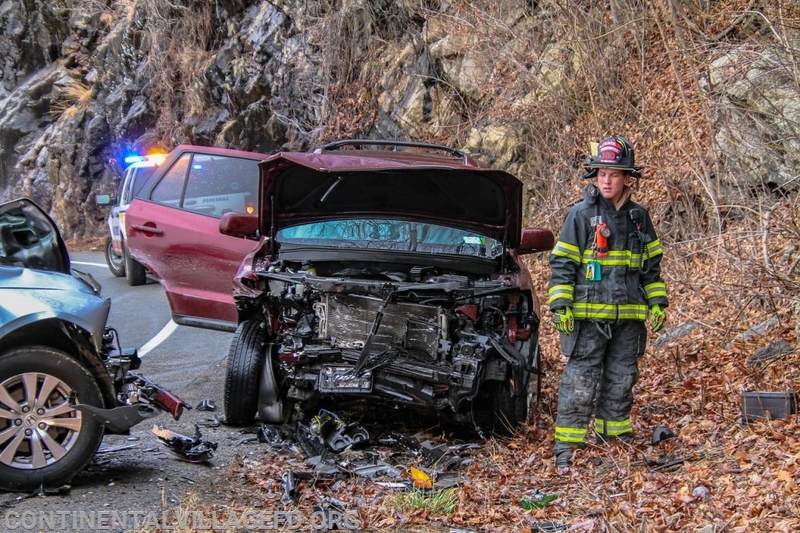 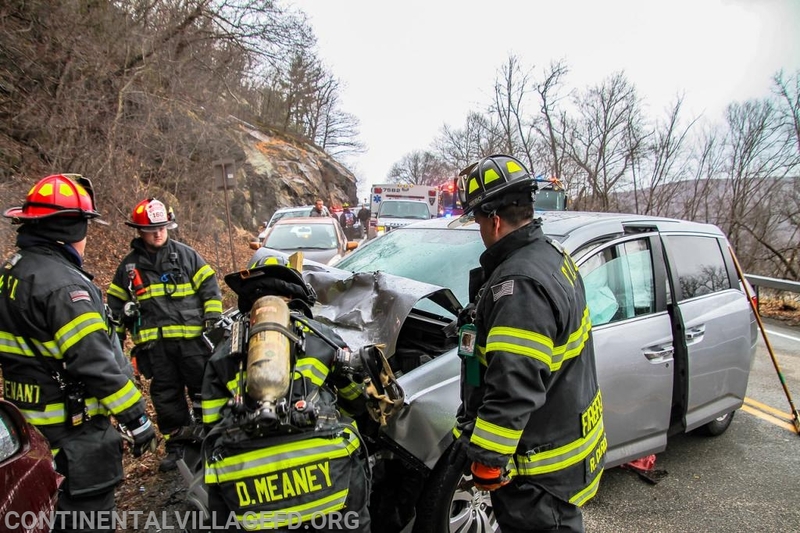 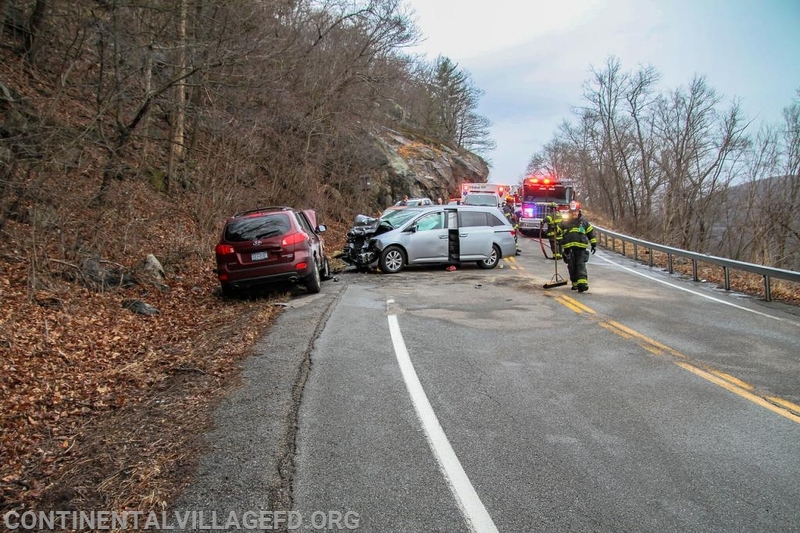 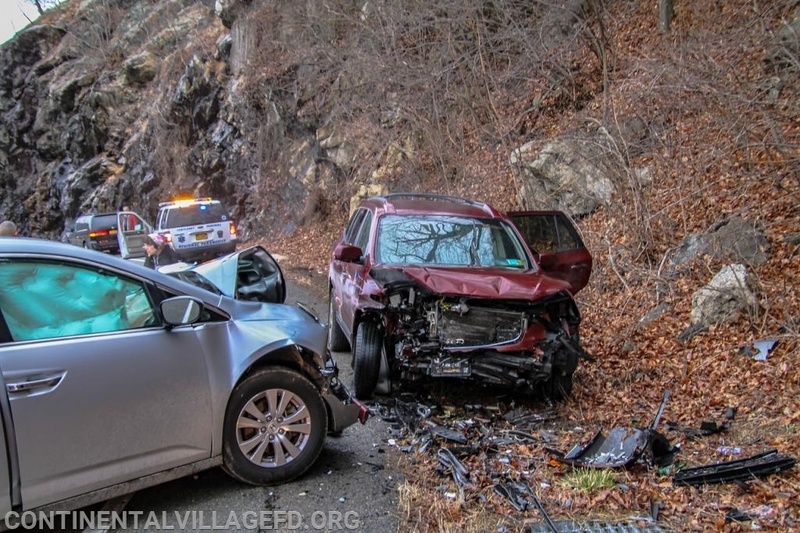 On Thursday Evening the Continental Village FD along with Peekskill Ambulance and Cortlandt Medics were dispatched to the Bear Mountain Bridge Road for a reported MVA with Injuires. 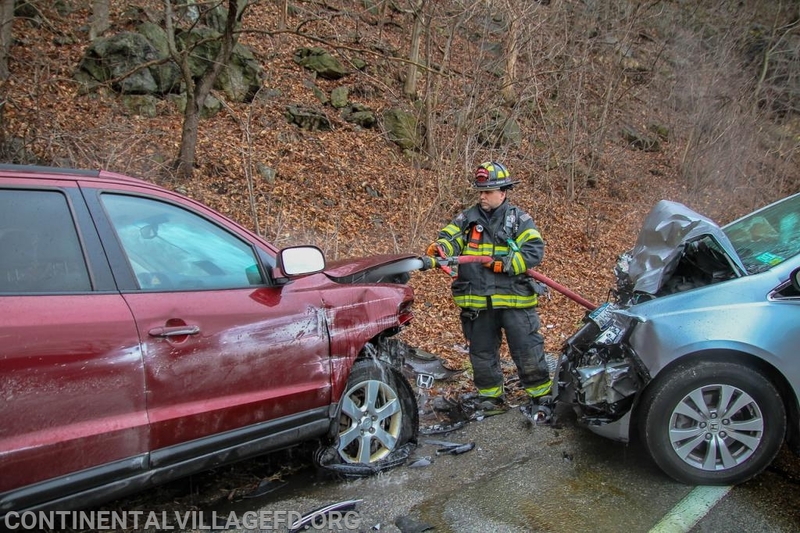 Upon arrival units found a two car MVA head on with 8 people complaining of injuries. 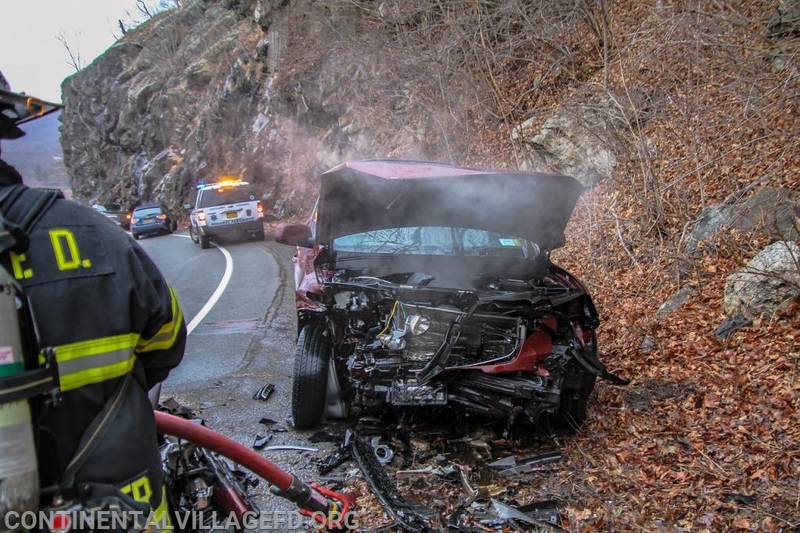 As units were assessing the scene they found one of the vehicles has a fire in the engine compartment. 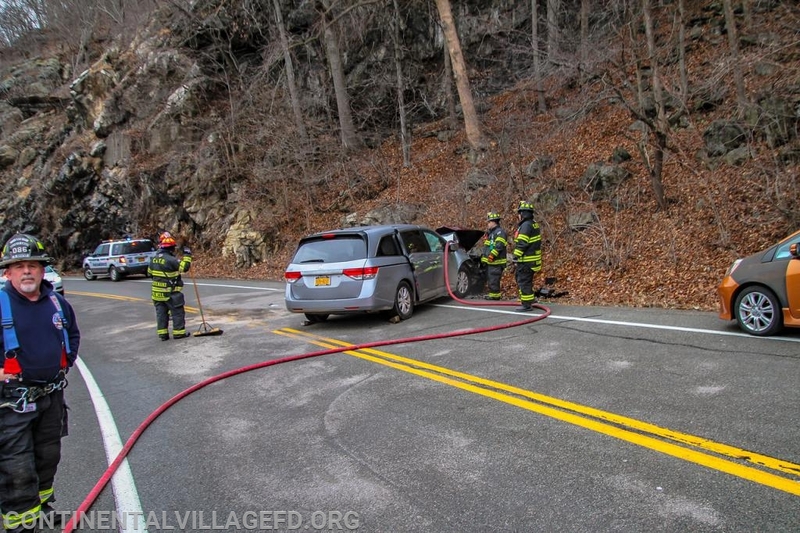 FD units quickly stretched a line and extinguished the fire. 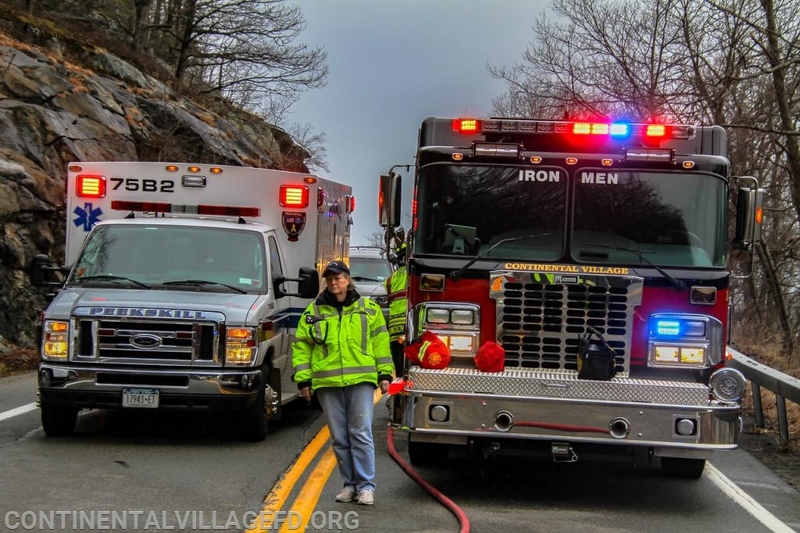 Fort Montgomery FD was requested Mutual Aid to close the road at the Bear Mountain Bridge. 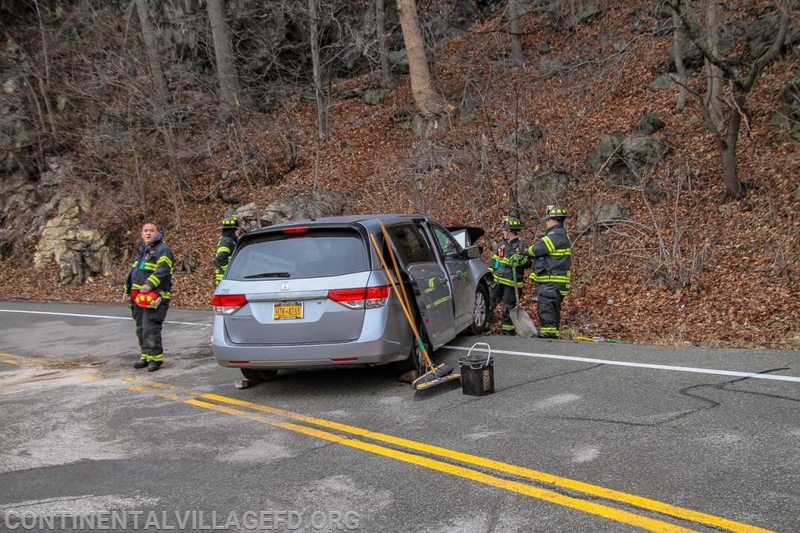 Units cleaned up the fluids spilled and cleared the scene after the vehicles were removed from the roadway.